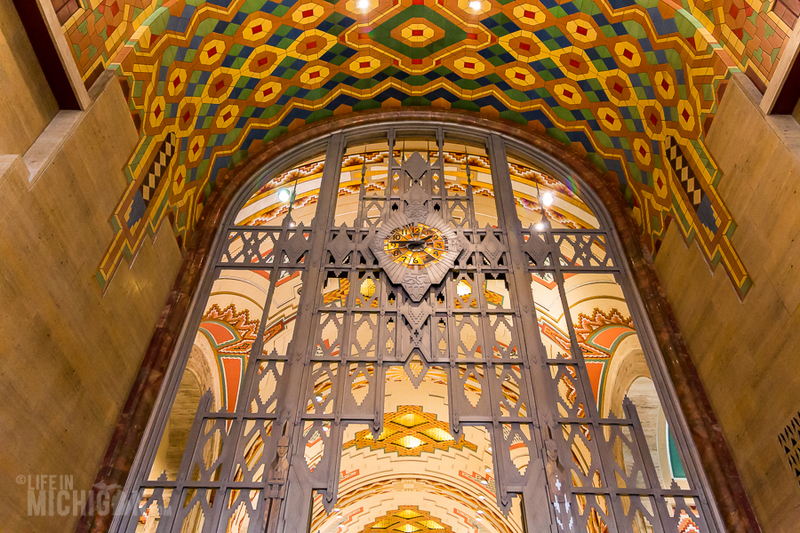 The Guardian Building, Detroit’s “Cathedral to Commerce”, was built in the 1920’s. Its interior is covered with splendid Pewabic tiles. Our Monday, March 13, 2017 meeting will be at Kathy’s historic Albert Kahn home. The meeting will start at 7:00pm with refreshments, including wine and non-alcoholic beverages, as we meet and greet members and guests. A short business meeting will be held from 7:30pm to 8:00pm. 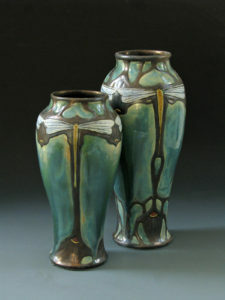 Ms. Stratton’s work was famous for its iridescent glazes. Our very special program starts at 8:00pm. Because the topic relates directly to the Historic Home and Garden Tour, tour docents have been invited to join us for this meeting. It will be a pleasure to meet some of the many volunteers that help make the Tour possible. Our speaker is Kimmie Dobos, archivist at Pewabic Pottery. She will talk to us about the history of Pewabic Pottery, from Mary Chase Stratton to the present. She will also relate the early development of Pewabic Pottery to its contemporaries such as Flint Faience and Rookwood Pottery. In addition to a powerpoint presentation, sample items will be available for your inspection. Prospective members and guests are always welcome. For more information contact: <kathleenkrasity@yahoo.com>.